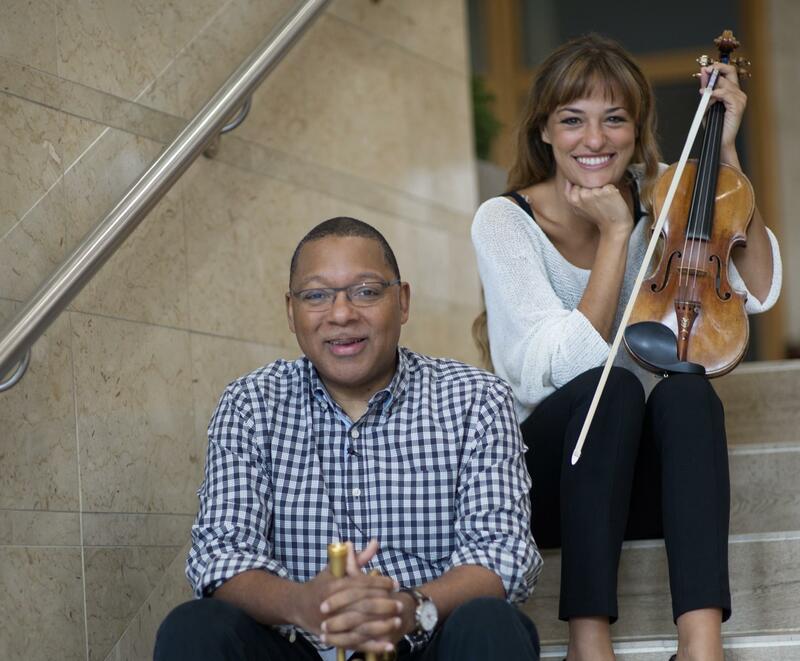 Join WQXR for an exclusive evening with two of the world’s greatest living musicians: award-winning Scottish violinist Nicola Benedetti — whose extraordinary service to music and education has been recognized by Queen Elizabeth II — and legendary American trumpeter, composer and educationalist Wynton Marsalis, Artistic Director of Jazz at Lincoln Center. After the huge success of the violin concerto Marsalis wrote for Benedetti in 2015, they have teamed up on a new artistic and educational collaboration. In this intimate event, we’ll get exclusive insight into that process as well as a live performance by Benedetti, accompanied by pianist Alexei Grynyuk. Hosted by broadcaster and WQXR’s new Creative Director Clemency Burton-Hill.